A customized insert can be added to this stock design allowing for low minimums, low setup charges and individual name drop programs for member guest or invitational tournaments. Antique brass or silver finishes. 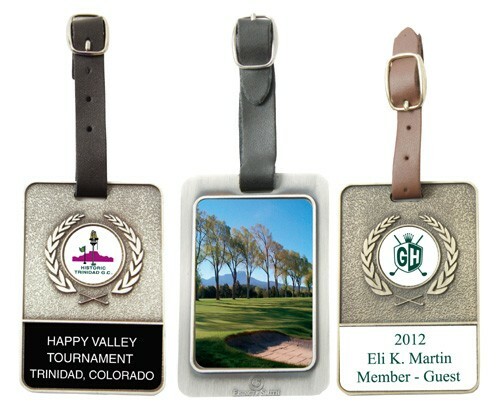 For signature hole photo on back panel call for pricing. 3.25" x 2.25" x .125"
• Antique: Brass or Silver. • Production time: 2 weeks.